See YouTube video - Pro Training workout #8. Toss out a ball from the baseline, follow, catch in triple threat, reverse pivot 180 degrees (he uses the left foot), shot fake, pass fake, jab step, reverse pivot 180 degrees on the same foot and repeat the fakes, then toss out and continue to halfcourt and back, twice. See Footwork - Fullcourt pivoting, Bigelow pivoting. - shot fake jab step (jab and cross). See Footwork - Ganon Baker jump stop series, Static pivoting and moves. 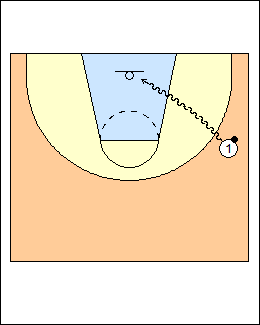 - power layup off two feet (an inside-outside 1-2 step, not a jump stop). 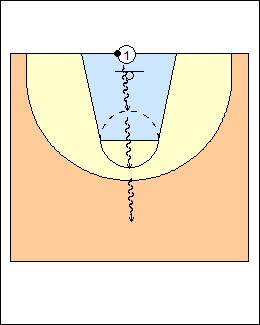 See Post play - Mikans, Layups - Pro Training workout #9. Repeat on the left side for 40 total makes. See Layups - Form layups. - jab step (left), go left. 5 makes each, 2 sets. From the right wing, shot fake, explode with the right hand for a right-hand layup, make 5. Progression - jab step (left), attack right (jab and cross). Repeat from the left wing for 20 total makes, then another set. 5 makes each hand, 2 sets. 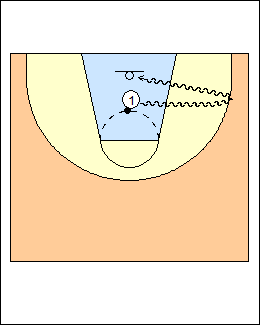 Start under the basket, dribble out to the right corner and back with the right hand, finish with a right-hand layup (the left hand never touches the ball), on a make move clockwise, do the same thing at the right wing, top, left wing, left corner. 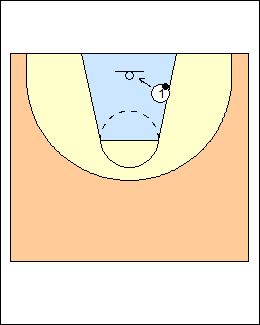 Repeat coming back counter-clockwise, dribbling and finishing with the left hand. Have more advanced players make 5 in a row, start over on a miss. 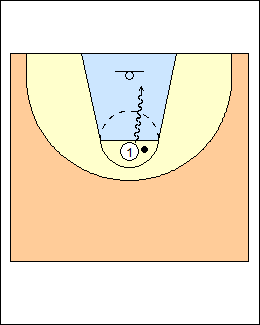 See Layups - Pro Training workout #9, Shooting - 5-spot series, Dribbling - Pro Training workout #5 (3 forward, 1 back). End the workout with at least 20 made free throws.